Donate to IFHHRO now and help us achieve our objectives! If you want to donate to IFHHRO on a regular basis, or if you have any questions, please contact us. IFHHRO has been designated an ANBI (Algemeen Nut Beogende Instelling – Public welfare organization) by Dutch tax authorities, which means that we do not pay tax over donations, and inheritances and donations we receive are tax-deductible for the donator. 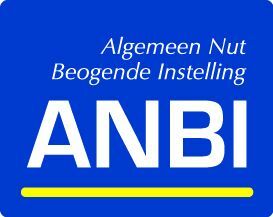 If you can read Dutch, click here or on the image for more information about our ANBI status.